When I was in elementary school, the coolest thing to have (after Lisa Frank folders, Tamagotchis, and shell necklaces, of course) was the ability to tell a really scary story. I vaguely remember tales of a girl with a ribbon necklace, an escaped hangman, and intruders impersonating dogs, but--and trust me when I say this--those have nothing on the story of The Long Fingered Man. It's so creepy, so goosebump-inducing, that you need to experience it for yourself. Seriously, I can't even talk about it. 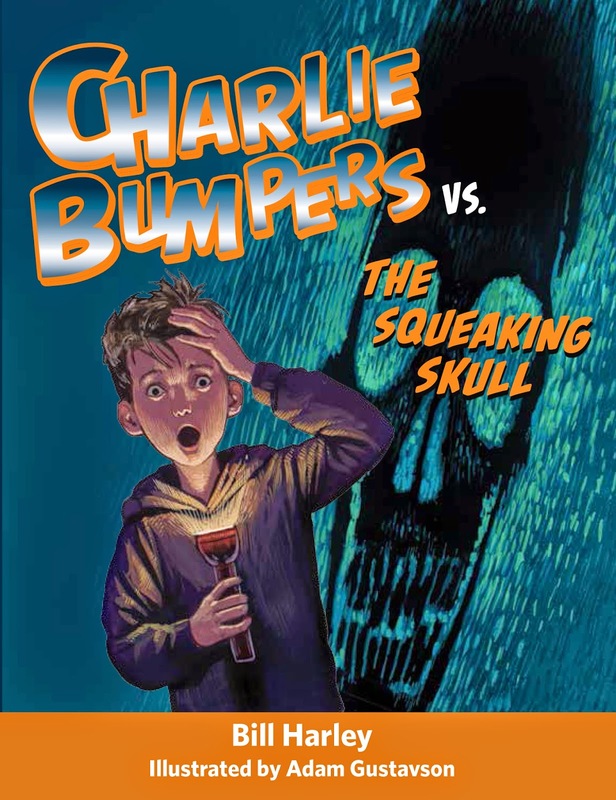 No stand alone copies of the story exist (the Long Fingered Man took care of that), but Bill Harley has captured the tale in Charlie Bumpers vs. the Squeaking Skull. Since scary stories are better when they're told by grammy award-winning storytellers, let's make The Squeaking Skull audiobook our October #FreeBookFriday! Meet Charlie’s spookiest nemesis yet in CHARLIE BUMPERS VS. THE SQUEAKING SKULL, the third laugh-out-loud audiobook in the Charlie Bumpers series, read by Grammy award-winning storyteller, Bill Harley.